“War is merely the continuation of politics by other means.” - Von Clausewitz. 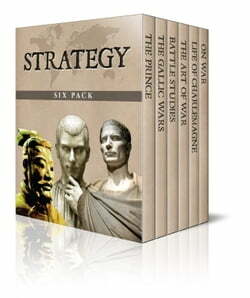 In addition to these six master texts, there is also an image gallery and a link to a free audio recording of The Art of War. &nbsp;Each work has been newly revised and expertly edited with notes, images and a table of contents. &nbsp;Centuries of tactical wisdom distilled into one awesome e-book. Military Science has never been more thoroughly represented in one single volume. “The supreme art of war is to subdue the enemy without fighting.” - Sun Tzu.